As a kindergarten with the English language profile, we assume that the children will use a foreign language all day long, during their activities, games and playtime. Good quality of pre-school care is reflected to a great extent in the way in which teachers react to the signals sent by children, as well as in their sensitivity to children’s needs. This is the reason why we adopt in EU Kids kindergarten the system of key persons, which is based on John Bowlby’s attachment theory. 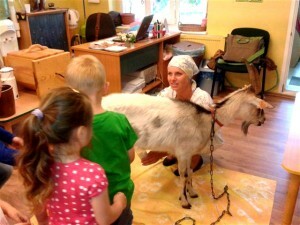 The above-mentioned key persons will be allocated to each of the children and will be responsible for the exchange of information with the child’s guardians, for building a close and lasting relationship with the child, for helping the child in the process of adaptation to pre-school life, as well as for keeping the documentation and conducting systematic observations of the child. The aim of the “key persons” system is to build an individualised relationship with each of the children, which is beneficial for its welfare and allows for planning, in an appropriate way, the care and educational work, whereas the role of the “key persons” may be compared to that of a bridge which makes it possible for the children to move between their home and pre-school environments in a safe way, full of positive experiences. When a child goes to school, its teachers assess them taking into consideration the skills they possess (the child knows something, is able to do something, etc. ), as well as its attitude to learning. The most important way of acquiring skills is by independent actions and practical tasks, which make it possible for the children to explore their environment. Acting independently facilitates development of competencies, both physical and cognitive. In turn, such competencies develop self-esteem, self-confidence and strengthen the feeling of authorship, which is extremely important from the psychological point of view and constitutes a natural motivator to tackle new challenges. This is the reason why EU Kids teachers create a varied educational offer based on individual or small-group work, thus responding to developmental needs and cognitive interests of the children. Using the theory by Lev Vygotsky, concerning the zone of proximal development, we encourage the children to explore the world actively by creating stimulating educational situations, as well as through experiments and tests. As a result, the children have an opportunity to become independent learners. This is how we support the development of autonomy in the process of learning, which is a necessary condition both for achieving success at school and for life-long learning. When planning our work in accordance with the new core curriculum for pre-school education, in force since 1st September 2009, we use elements of the Good Start Method by Marta Bogdanowicz. The aim of this method is to practise manual skills, prepare the child’s hand by drawing letter-like patterns, develop the eye-hand coordination and visual-motor coordination. The above-mentioned exercises prepare the children comprehensively for school work. Since we take care not only of cognitive development of children, but also for their physical development, we use the method of developmental movement, elaborated by Veronica Sherborne. The method consists in supporting psychomotor development through movement games in a group of peers, allowing the children to build awareness of their own bodies, space and other group members ,with whom they enter into a close relationship. This helps the children to acquire skills necessary in everyday functioning in a kindergarten group, while simultaneously enriching their social experiences. Within our close cooperation with the children’s families we try to respond to their needs by organising events to celebrate important days in their lives (birthdays, Mother’s Day, Father’s Day, etc.). 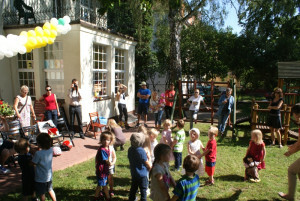 We also invite parents from the outside to use our premises with the aim of organising various events for children. 7:30 – 9:30 Children come to kindergarten / Talks with parents. 9:30 – 10:00 Breakfast preparations. 10:00 – 10:30 Welcoming the whole group. Beginning of didactic activities in the English language. 10:30 – 11:00 Didactic activities with the 5-year-olds / Freestyle creative games. 11:00 – 12:30 Preparations for going out and games in the garden. 12:30 – 13:00 Lunch and brushing teeth.  13:00 – 13:30 Possibility of after-lunch siesta. 15:00 – 17:30 Freestyle creative games, followed by putting away the toys. Children go home / Talks with parents.